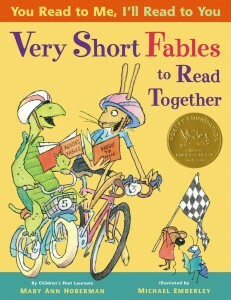 This is the newest book in a series of fun and playful poems that children can read in pairs. The poems are arranged in three columns. Person A reads the left column, Person B reads the right, and the middle column is read together. Thus the poems read like a friendly conversation between two people. The rhymes are whimsical, silly, and pleasing to young ears. As a teacher, I’ve used this to help children who need to develop the skill of reading out loud; yes, friends, I trick my kids into becoming good readers! And it works. In another tale, The Ant and the Dove, a hunter gets tricked and bitten, so the animals do have their moments of glory in the book. 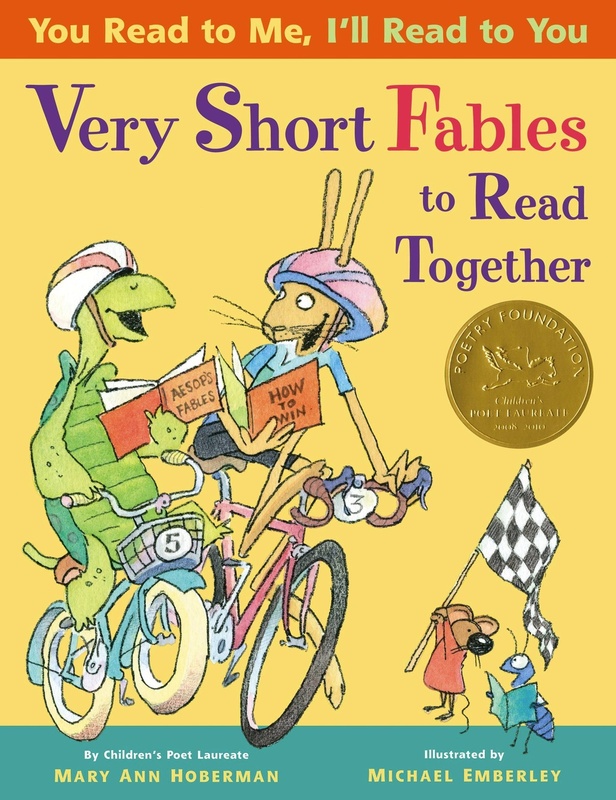 In short, this is a fun collection and series, but you might want to flip through it once to see if some of the less animal-friendly tales mesh with you before presenting it to your youngster.